The changes in three aspects of frequency, intensity and duration of the compound, daytime and nighttime heat waves (HWs) over China during extended summer (May–September) in a future period of the mid-21st century (FP; 2045–2055) under RCP4.5 scenario relative to present day (PD; 1994–2011) are investigated by two models, MetUM-GOML1 and MetUM-GOML2, which comprise the atmospheric components of two state-of-the-art climate models coupled to a multi-level mixed-layer ocean model. The results show that in the mid-21st century all three types of HWs in China will occur more frequently with strengthened intensity and elongated duration relative to the PD. The compound HWs will change most dramatically, with the frequency in the FP being 4–5 times that in the PD, and the intensity and duration doubling those in the PD. The changes in daytime and nighttime HWs are also remarkable, with the changes of nighttime HWs larger than those of daytime HWs. The future changes of the three types of HWs in China in two models are similar in terms of spatial patterns and area-averaged quantities, indicating these projected changes of HWs over the China under RCP4.5 scenario are robust. 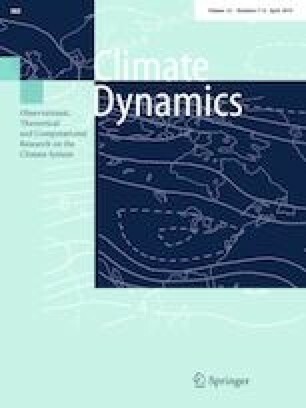 Further analyses suggest that projected future changes in HWs over China are determined mainly by the increase in seasonal mean surface air temperatures with change in temperature variability playing a minor role. The seasonal mean temperature increase is due to the increase in surface downward longwave radiation and surface shortwave radiation. The increase in downward longwave radiation results from the enhanced greenhouse effect and increased water vapour in the atmosphere. The increase in surface shortwave radiation is the result of the decreased aerosol emissions, via direct aerosol–radiation interaction and indirect aerosol–cloud interaction over southeastern and northeastern China, and the reduced cloud cover related to a decrease in relative humidity. The online version of this article ( https://doi.org/10.1007/s00382-019-04743-y) contains supplementary material, which is available to authorized users. This study is supported by the National Natural Science Foundation of China under Grants 41505037 and 41875103, by the Applied Basic Research Foundation of Yunnan Province (2016FB078), and by the UK-China Research & Innovation Partnership Fund through the Met Office Climate Science for Service Partnership (CSSP) China as part of the Newton Fund. QS is supported by the China Scholarship Council. BD is supported by the U.K. National Centre for Atmospheric Science-Climate (NCAS-Climate) at the University of Reading. The authors like to thank three anonymous reviewers for their constructive comments on the earlier version of the paper.